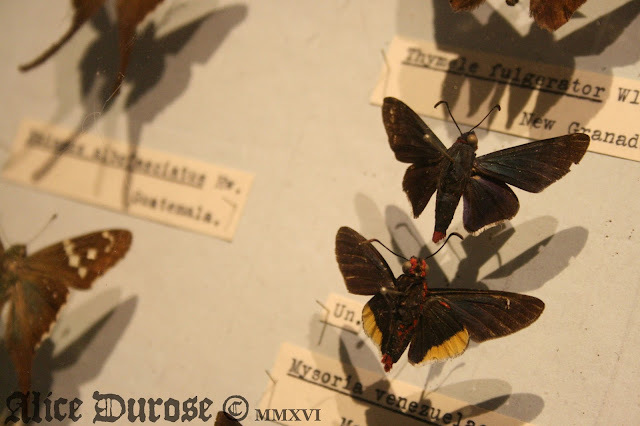 Entomology is a long time interest of mine. 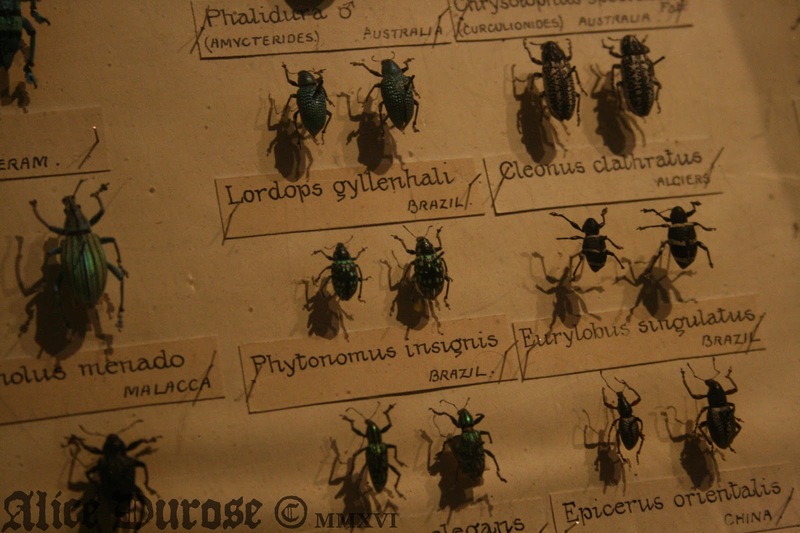 Throughout the years this had manifested itself in many forms; wanting to learn the names of endless insects, studying minute details in the physical traits of certain bugs, beetles, moths and the like, and laboriously drawing insects in as minuter detail as it's possible for me to capture, what I call 'ethical taxidermy'. When visiting museums I'm always on the look out for their natural history exhibits, and the chance to indulge my creepy crawly curiosity. As well as a large range of Victorian Taxidermy, there are many insect specimens on offer at Wollaton Hall that certainly don't disappoint. 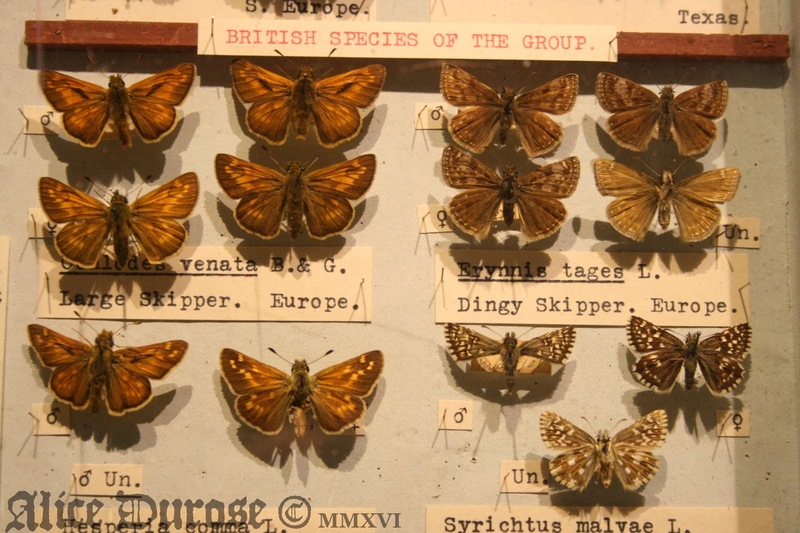 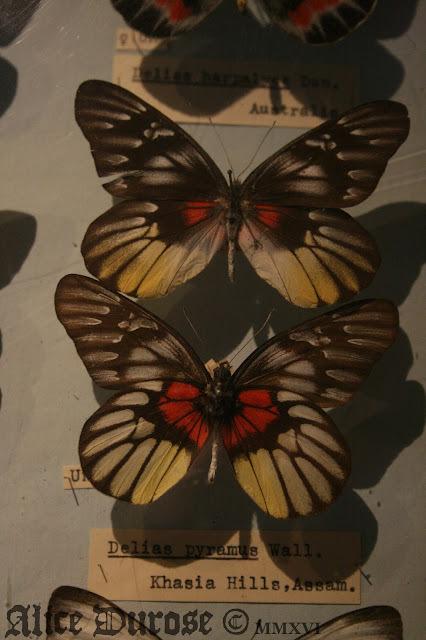 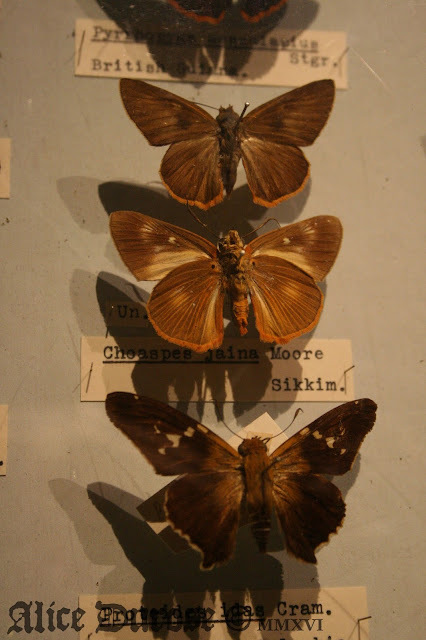 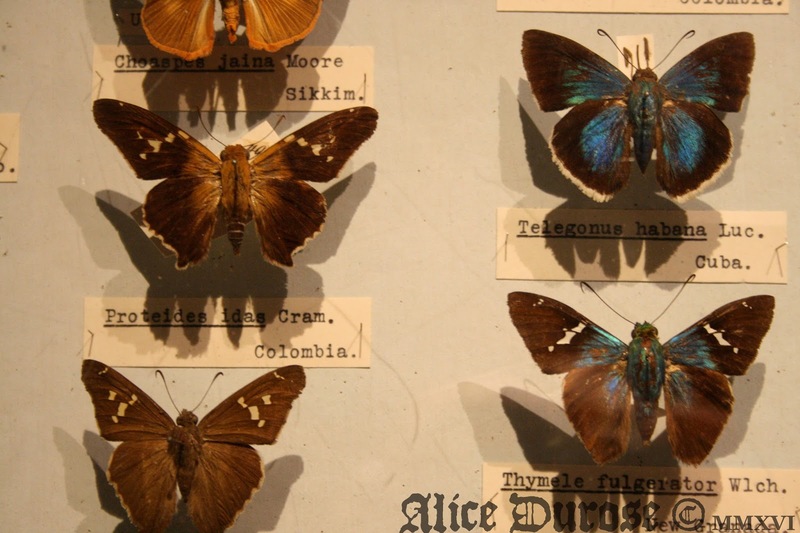 Hidden behind protective cloths to guard the specimens from harmful light when not being viewed, the butterflies, moths and beetles on display are somewhat different and far more charming than most modern displays. Harking back to days gone by when the displays were put together, the hand written or type-writer rendered species notes all laboriously pinned in place bring a certain ancient atmosphere to the specimens which suits their lightly faded majesty. 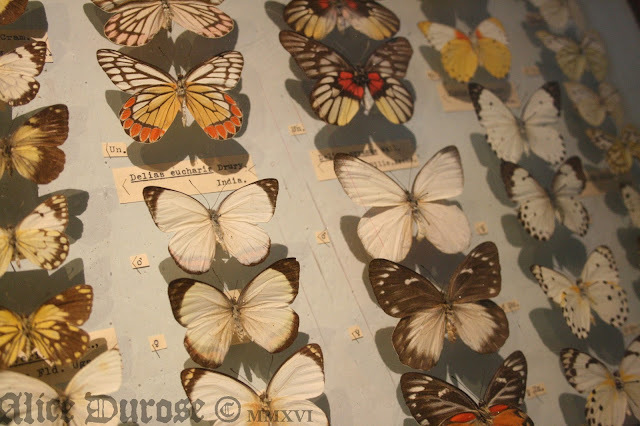 Personally, I think there's something very beautiful and fitting about displaying these cases in their original state, it pays hommage to the time, patience and artistic flair of their original creator and collector.